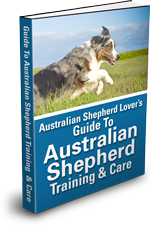 Hi, I'm Anton Hout, the creator of this website and author of the "Guide To Australian Shepherd Training & Care". I Love Aussies! They are a breed apart. Anyone who has an Aussie knows what I'm talking about. 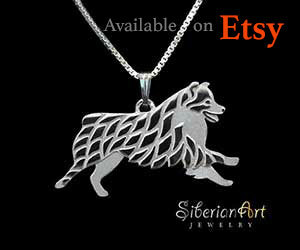 They are extremely intelligent, alert, loyal, hardworking and energetic. Boy are they energetic, they never seem to run out of steam! This is what makes them such great sheep and cattle dogs. As working stockdogs nothing escapes their notice. Aussies have an uncanny intelligence with strong herding and guarding instincts. 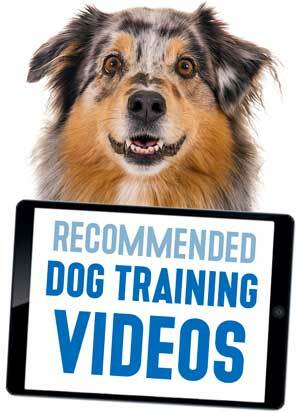 As a working stock dog, agility dog or loyal companion they are tried, tested and true. 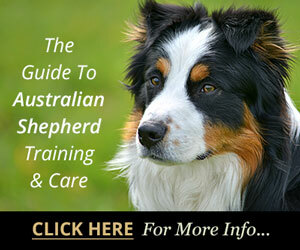 If you are thinking of getting a puppy be sure the Australian Shepherd is the right breed of dog for you. They need a lot of excercise and love to run flat out. You don't have to live on a ranch or farm to have an Aussie but be prepared for their boundless energy and to find activities you can enjoy together. 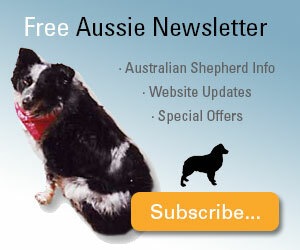 Why Are We Such Australian Shepherd Lovers? Well, for starters the picture to the left is my bestest buddy Levi when he was a puppy. How could you not fall in love with a face like that? Let me tell you a little more about us. Hello, my name is Anton. I'm the editor of Australian-Shepherd-Lovers.com and Levi and I welcome you to our home on the web. I've had dogs most of my life, from Chihuahuas to Dobermans, but before my wife Tanya and I got Levi we thought long and hard about what we wanted. We didn't want a dog that was too big or too small; we wanted one that was juuust right. We wanted a very loyal, intelligent and trainable dog. We wanted an alert dog that would be watchful of our property. We wanted a dog that was animated and full of life. We wanted a loving companion. In other words... we wanted an Australian Shepherd! 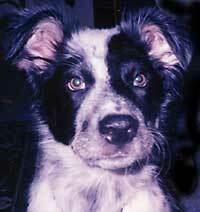 As luck would have it we knew a lady who bred Australian Shepherds. We spoke with her and got her expert advise about the breed. After careful consideration we decided that the Aussie was for us. We even got pick of the litter. We choose a cute little female Australian Shepherd puppy, but she wasn't weaned yet so she had to stay with her mother for a while. We decided to name her Cyan. We could hardly wait to get her home but we wanted to give her plenty of time to be weaned properly. It was during this time that tragedy struck. A cat got into the pen with the puppies and attacked them and Cyan was one of the puppies injured. Sadly despite the best efforts of our veterinarian, Cyan didn't make it. My wife and I were devastated. The Australian Shepherd Breeder called and offered to let us choose another puppy. As difficult as this experience had been for us we still wanted a puppy. So we went back to the breeder to have a look. As we approached the puppy pen the pups were running around, rolling on each other and playing. I immediately noticed one furthest away from me just sitting watching his litter mates frolicking. As I came near he looked up at me and we seemed to connect, "Could he be the one?" I thought. I watched the other puppies for a while but I kept returning to the one at the back, who was now interacting with the other puppies and seemed to have a confident air about him. The more we watched him the more we liked him. My wife and I agreed - he was the one! We named him Levi and when he was ready we brought him home. He has been a joy and a blessing to us ever since (even when he tried to assert dominance over our family pack - but that's another story). Our lives have definitely been better for having Levi in it and he is the inspiration for this website. Thanks for visiting. 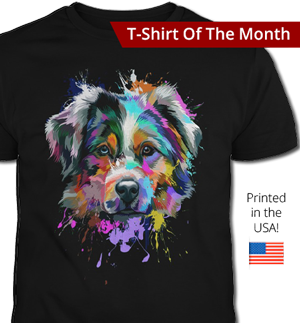 We hope you enjoy Australian-Shepherd-Lovers.com!